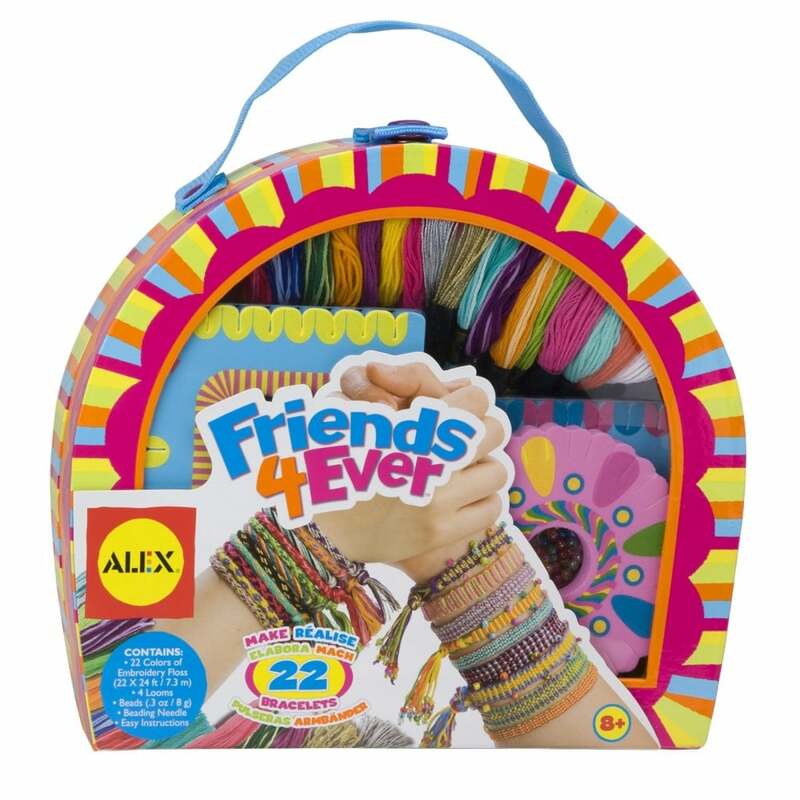 Friends 4 Ever Bracelet kit lets children design bracelets for all of their friends and maybe even a family member! The kit will make 22 bracelets with colours of floss and beads that make weaving these designs a snap. This kit also comes with a carrying case for quick and easy clean up.